When spectacular things don’t happen to you on a daily basis, you look for tiny little good moments to wrap your brain around, so as to avoid your blood pressure from rising. You reach and grasp for whatever you can so that you go to bed thankful for something. Something! Things like finding a five-dollar bill in your freshly laundered Gain-smelling jeans. Things like finding a spare key when you’re locked out of the house. Things like the last Ghirardelli Dark Chocolate Square waiting for you at the bottom of the bag. Things like being able to take the carpool lane when traffic is jammed and passing the jackass that cut you off in the process. Things like the makers of Framboise who help you out on Friday nights. Things like BenGay and ice packs to help your weary muscles and bones. Things like FX and AMC that rock your world because you no longer have HBO. Things like the bloggers who surprise you with awards and make you feel like a badass writer. Cayman Thorn, Clay Watkins, and Jim. Cayman Thorn over at Drinks Well with Others nominated me for the Very Inspiring Award, which goes to show you that someone out there — a comic, sensitive genius himself — finds my sense of humor inspiring out there. 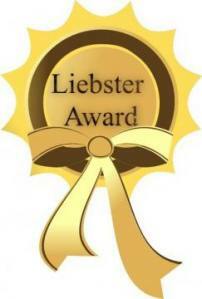 Clay at Making The Days Count and Jim a Fit Recovery both nominated me for the Liebster Award. They both write about life and their own journeys to make the most out of it. I know there are specific rules for these types of awards, like tell us a couple interesting facts about yourself, post the award on your site, and nominate 10 people … give or take. But I’m gonna break a few of these rules in order to pass both honors to blogs I think are definitely worthy of appreciation and gold stars. I appreciate the blogging love given to me and I send out double the love to the following bloggers who inspire me with their travels, their photographs, and their ability to make me laugh. They keep the blogosphere awesome and entertaining with adventure, dreams, pictures that are priceless, and comedy. Don’t forget comedy, it keeps the gray hair away and the blood pressure down. Feel free to stop by and get a dose of inspiration in a variety of ways.